→Do You Have these 10 Dog-Friendly Vegetables in Your Dog Food? Do You Have these 10 Dog-Friendly Vegetables in Your Dog Food? While dogs are categorized as carnivores, the total absence of vegetables in their meals isn’t a good idea. In fact, adding vegetables to your dog’s meals is a crucial step to balance the diet if you take care the portion. However, some people may misunderstand about how they should provide dog-friendly vegetables on their dog's meals. It should be noted that vegetables in dog’s meal are for supplements, not a replacement. Not all vegetables are eligible for dogs. While it may limit you to a narrower option, it certainly closes the debate on Dogs vegetables good or bad! 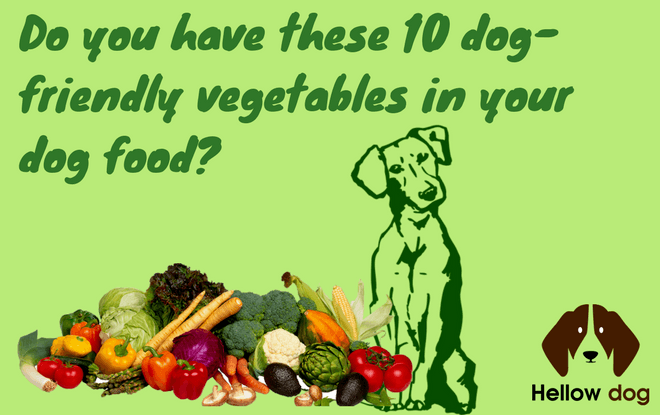 The answer is simply there are vegetables eligible for dogs, and those aren’t. What you have to do is finding the right information about vegetable for dogs before deciding to purchase ones. Sometimes you are apt to think about the Vegetables you would like to give to your dog for keeping it fit and healthy. You can be at a fix. Because your dog is a dog and not a human being . It may not relish the variety that is given for consuming. It really is a matter to ponder. Vegetables are certainly good while they’re kinds that are allowed for dogs and served in suggested servings. In other hands, several types of vegetable are dangerous for your dogs. 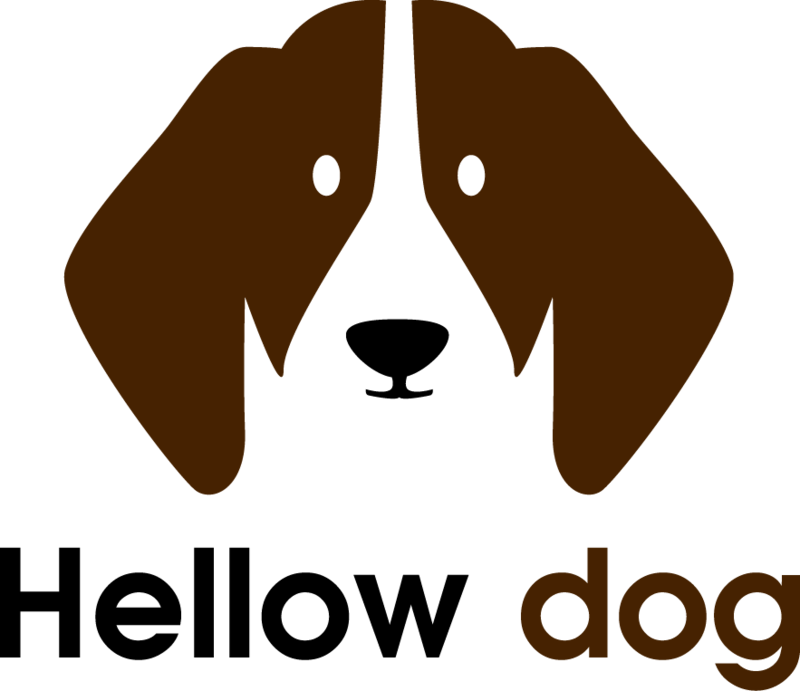 Knowing this information is very helpful in providing a more quality diet to your dogs. It will lengthen and improve their lives. As a supplement, vegetables should be limited to no more than 10 percent of the total daily diet. Each of allowed vegetables has its nutrient content which may be different than the others. It means that each vegetable has its individual suggested servings. Vegetables support the nutrient intakes which may be needed by your dogs especially for puppies or those which have several health problems. It includes protein, vitamins, fiber, and minerals which are essential to support a balanced diet for your dogs. Certain dog friendly vegetables even have the abilities to boost the immune system of your dogs. Vegetables are the eligible source of carbohydrates,fiber,proteins, lipids, and fats. In a proper portion, vegetables can help nourish your dog. However, those should be treated as a supplement, not a replacement. Vegetables are the reliable source of water where can maintain and prevent dehydration issues which widely occur in many dogs. Dehydration generates a more disease in their kidney. Acquiring water from vegetables is the best idea as they don’t drink water in sufficient level. Vegetables contain most of the B vitamins which can collaboratively fulfill your dog’s need along with eggs and liver. The vegetable can also support Vitamin A, C, K, and E. While vitamin D is lacking in vegetables, remember that vegetables are supplements, you’ll still have to feed them with meats, livers, and eggs. Important minerals including calcium, magnesium, potassium are contained in many dark green vegetables. They absorb the minerals from earth very well. However, you should ensure that the vegetables are organic, look for the certified products. Modified or medicated vegetables may harm your buddy’s health. The vegetable which contains omega-3 will support the health of the brain and nervous system. Omega-3 may treat several issues on the digestive system, blood circulation, breathing, reproduction, and immunity. The fiber contained in the vegetables is considered to be more healthy than gains. It will enhance the digestive system as microbes in your dog’s tummy more easily digest the fiber. Vegetables can regulate the bowel of your dog. As well as humans, dogs need protection against free-radical so they can manage a more extended age. This can be gained from antioxidants which are hugely available in vegetables. In fact, without vegetables or fruits, your dog is not protected from free-radical. As previously mentioned, not all vegetables are eligible for your dogs. Wrongly choose or serve vegetables for dogs can generate health problem for your dogs. These are 10 Vegetables that are good for Dogs. The carrots contain nutrients which are crucial for your dog’s eyesight especially the pro-vitamin A carotene which doesn’t generate toxicity. It’s also a reliable source of antioxidants which can boost you buddy’s immune system as wells other vitamins: B, C, D, E, and even K.
However, not all dogs have the ability to chew a whole raw carrot which may cause them choking. At this point, it’s suggested to cook the carrot first and served it chopped; then it should be completely safe to chew. Otherwise, you can serve pureed carrot for your dogs. 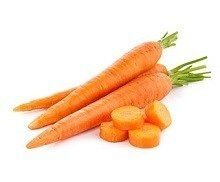 Consuming carrots can help you dog maintaining or avoiding any anxiety issues. Speaking of your dog’s immunity, Broccoli is one of the reliable sources. Broccoli becomes the front-liner of fighting against cancer and the arthritic inflammation. It plays a significant role in brushing your buddy's tooth without any additive chemicals. Besides, it’s a good source of fiber and vitamin C.
However, even though it’s been well promoted as a safe vegetable for your dogs, Broccoli shouldn’t be taken in over-serving. The heads of Broccoli isn’t digestive-friendly which may cause gassing. 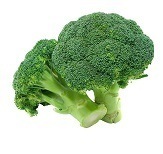 The suggested serving of Broccoli is no more than 5 gram per 100 gram of food intake. Asparagus is one of the dog-friendly vegetables due to available nutrients. Like a carrot, asparagus is better served cooked for your dog. It can be either steamed or grilled with an olive oil coating. It’s considered to be an additional ingredient to boost minerals, vitamins, and even flavor on your buddy’s meal. Asparagus enhances the meal flavor which may boost your buddy’s appetite. 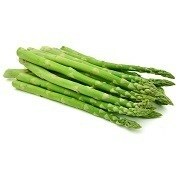 The suggested serving of asparagus is 100-200 gram and better steamed. However, there is no harmful effect on excessively eating the asparagus. Green Beans contain high fiber which can improve the digestive system. It’s also a source of Omega-3 which is good for dog’s heart health. Ensure that you choose the low-calorie ones. Green beans can be a healthy weight gainer for your puppies; the suggested serving is about five percent of the meal portion. It should be sweet Potato not the generic once. Sweet potato is a healthy ingredient which contains a high amount of fiber, minerals, and vitamins. Whole raw sweet potato may cause your dog choking. It’s suggested to cook the sweet potato and serve it pureed or mashed. The suggested serving of Sweet potato is about 25 percent of total meal portion. Your dog will love the taste of sweet potatoes. It’s no secret that dogs like pumpkin very much. 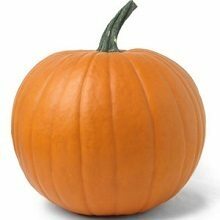 Pumpkin can help maintaining diarrhea or constipation suffered by your dogs due to its high fiber content which improves the bowel regulation. Suggested serving of pumpkin is 25% of the total meal portion until your buddy’s bowel system gets back to normal. While it’s well-known as super vegetables in the human world, Kale is also a suggested vegetable for dogs which provide them high nutrients. Eating Kale in a suggested portion give your dogs a big help in managing allergies, arthritis, heart disease, and so forth. If your dogs are gassing and bloating, then your dogs overdosed the Kale. You can either serve Kale dried, chopped, or steamed and mix them to their meal. Parsley is surprisingly an eligible ingredient for relieving the dog breath, no artificial chemical needed to refresh your buddy’s breath. The potassium content in the Parsley is very good for joint and muscle. Parsley also contains the beta-carotene which is best for eyes. You can simply sprinkle chopped parsley to your buddy's meal, make you don’t overdo it or your buddy might not eat the meal. Zucchini contains a high amount of fiber and water which can provide a balanced diet keep your dog full without generating obesity. You can simply steam the Zucchini and mix it up with your dog’s meal. You can freeze the vegetables for dogs and use it for treating your dog in the summer. Peas are an available source of various nutrients including fiber, minerals, and vitamins. Adding two spoons of peas will help your dog to maintain a properly balanced diet. 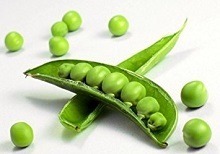 The vitamins in Peas include the A, B1, B2, B3, B6, K and C. It’s also a reliable resource of healthy protein and folate. Peas are widely available in the grocery stores mostly in frozen. It’s suggested to cook the peas in boiling water for a couple of minutes and mix them with your dog meals. Another way, you can coat olive oil on the peas and grill them for about three minutes and then serve them with your dog’s meal. There are various vegetables which can harm your dog’s health. In case you’re going to the market to buy ingredients, you can simply take this following table with you. Dogs Vegetables Good or Bad! Vegetables are certainly good while they’re kinds that are allowed for dogs and served in suggested servings. On the other hand, several types of vegetable are dangerous for your dogs. Knowing this information is very helpful in providing a more quality diet to your dogs. It will lengthen and improve their lives. Ensure that you purchase only organic vegetables if you want to gain optimum benefits from them without creating other health issues on your dogs. Dogs are our best friend, keep your buddy healthy with vegetables.